Timelines are a very useful way to represent the overlapping of events over time. If you’re looking to make a timeline of your own, check out Preceden. 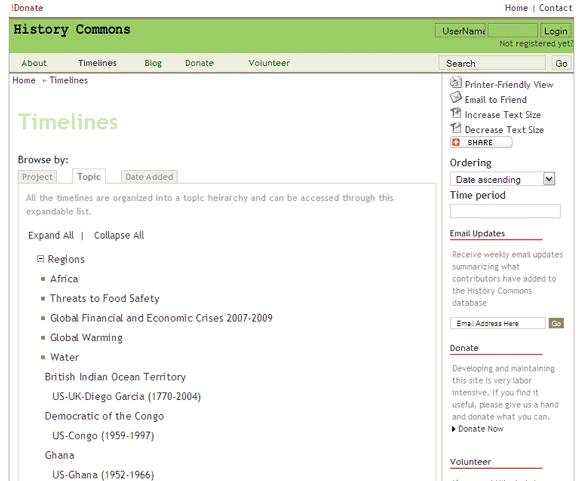 This web tool does all it can to make creating timelines as simple as possible. Just enter your events along with their start and end dates, and you’ve got yourself a timeline. Once you have the exact timeline you’ve been looking to create, you can make it public, allowing anyone on the web to see it. Once you do so, sharing your timeline is as easy as sending them a URL. This tool is easy to use and does exactly what it sets out to do, although bear in mind that you’ll need to create an account to use it. Easy to use: just enter the events along with their start date and end date. Easily share your timelines online. Similar tools: TimeToast, Timetube and TimeRime. 5 Sites and Extensions to Tweak YouTube for a Better ExperienceViewing Recent Searches On Google & Why Would You Care?